We will be on a REGULAR schedule the week of Veterans Day. We would like to give a big THANK YOU to All the Veterans from the Past, Present and Future! 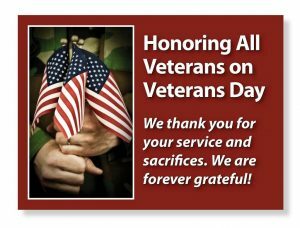 Thank you for all your sacrifices!! ← Time to Fall Back Already!